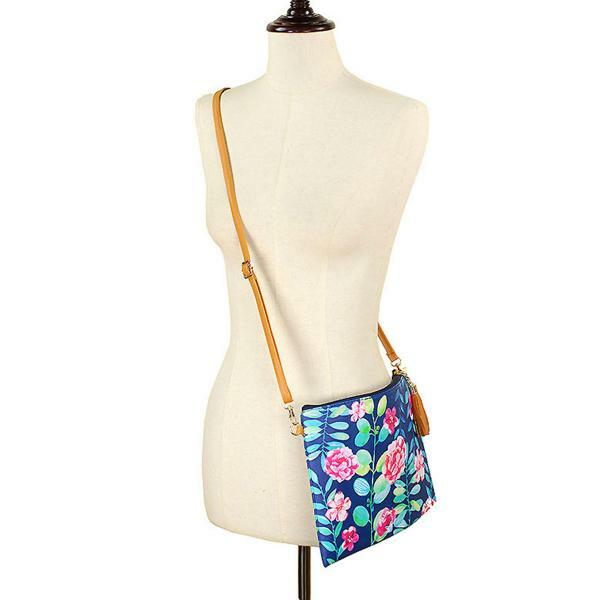 Simple, stylish and fun, our crossbody bag is made to go wherever you go. 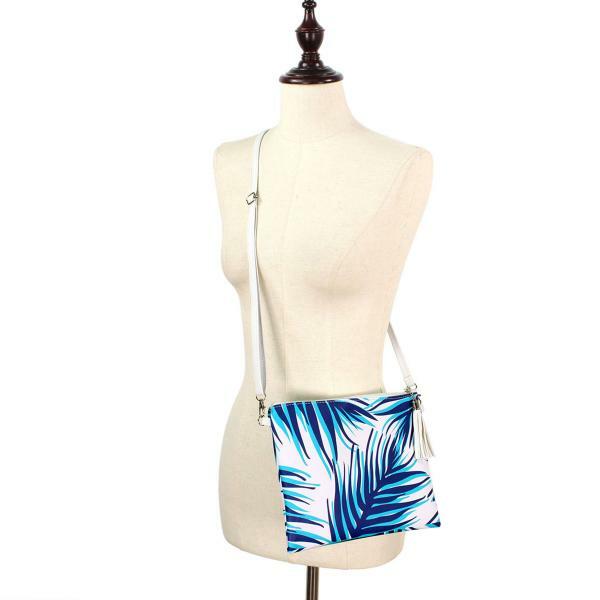 Our adjustable cross body bag fits comfortably and securely holds the purse close to your body, the mid-volume capacity is just the right size to hold all the essentials - not too bulky and not too small while an interior zippered pocket holds smaller loose items. 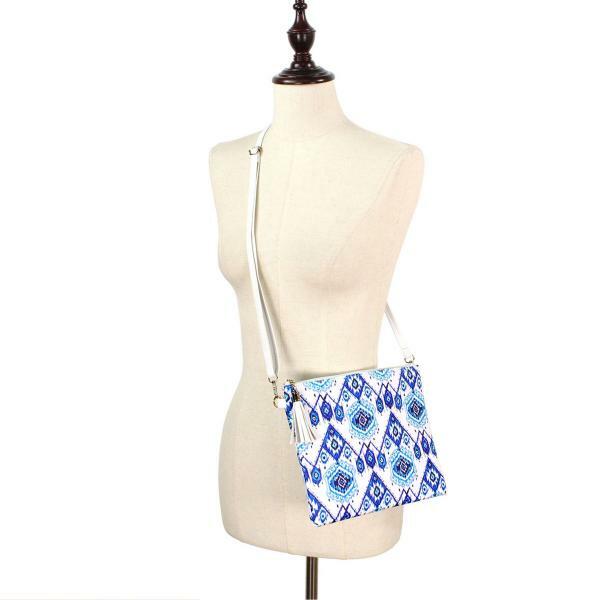 Our crossbody bag comes in an array of colors and patterns to match every personality, it also includes both a crossbody strap and a small clutch strap so it can be adjusted as needed. 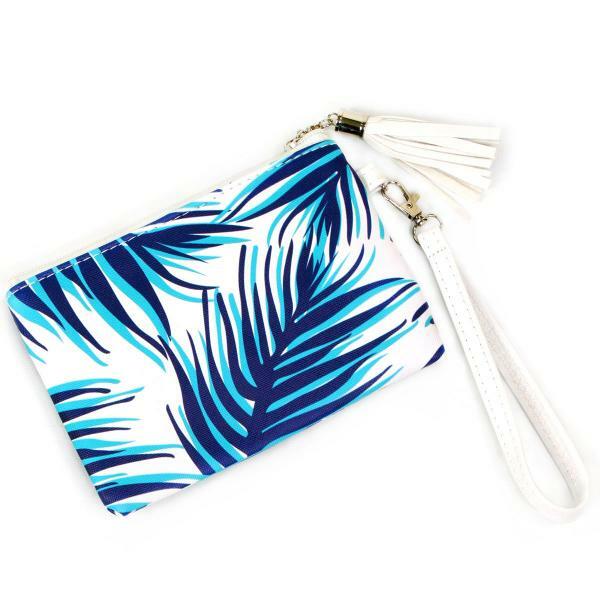 Decorated with an adorable faux leather tassel, it will be a hit in any store! 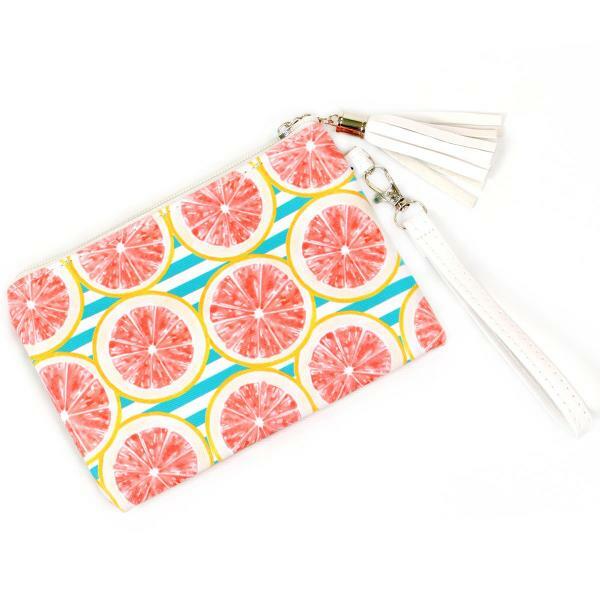 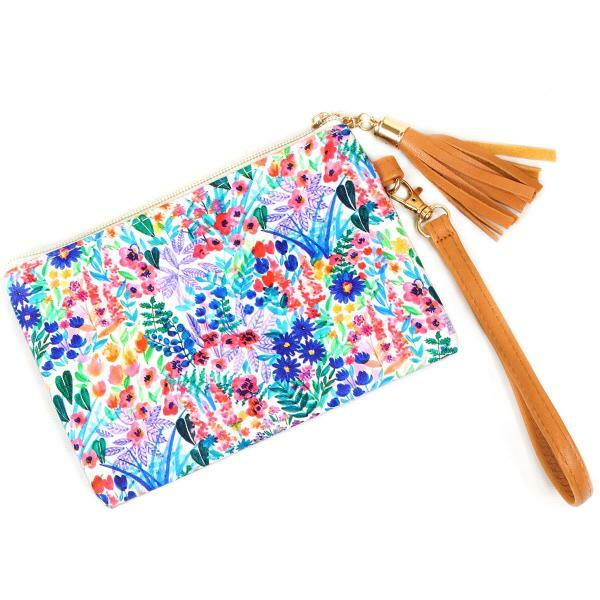 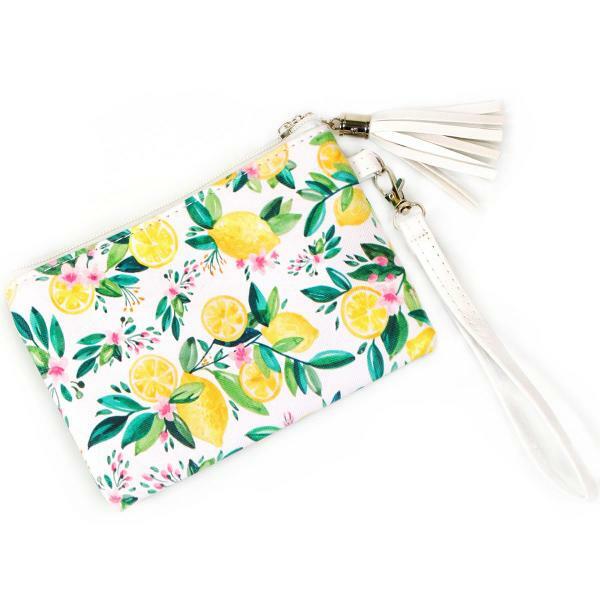 Our matching wristlets make an amazing addition as a wallet put in a set with the crossbody bag or all on its own. 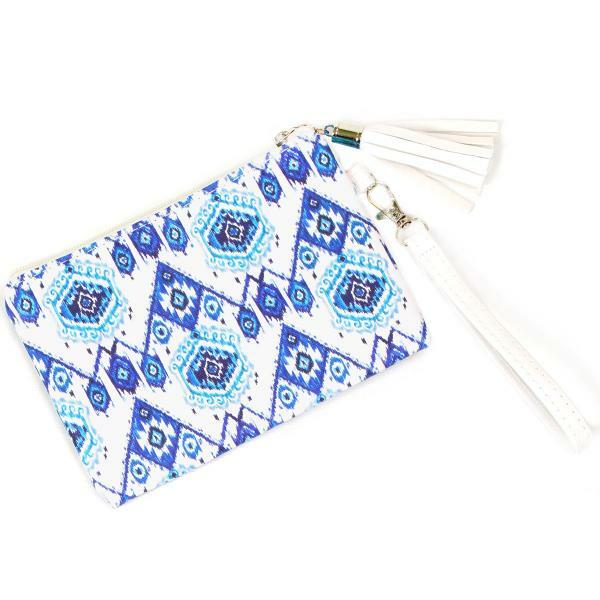 It includes a removable wristlet strap and faux leather tassel. 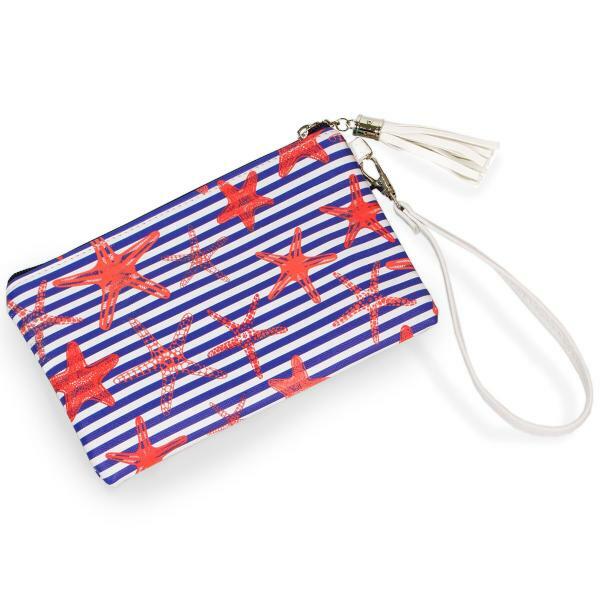 The perfect size for a phone, cash and credit cards! 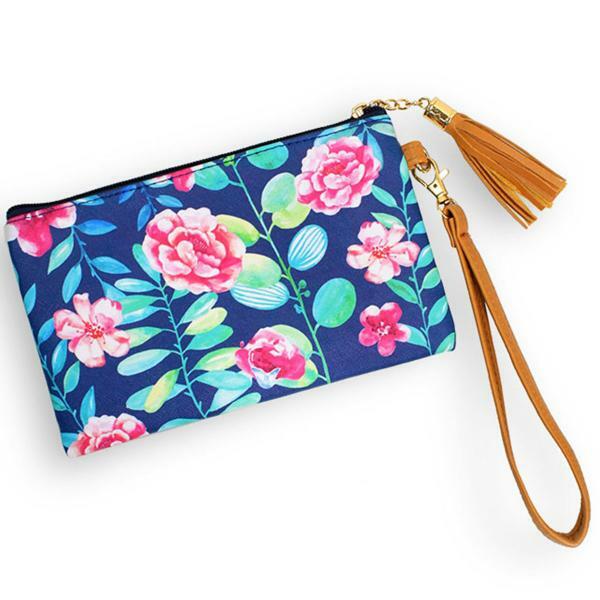 100% Polyester, Exterior Poly Vinyl for water resistance. 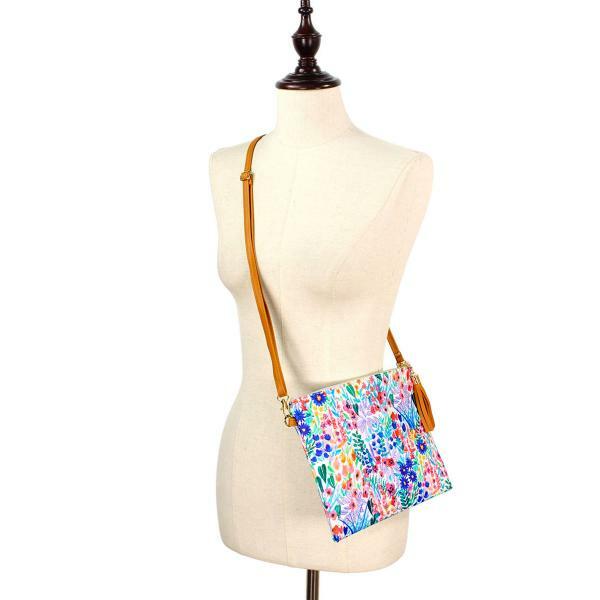 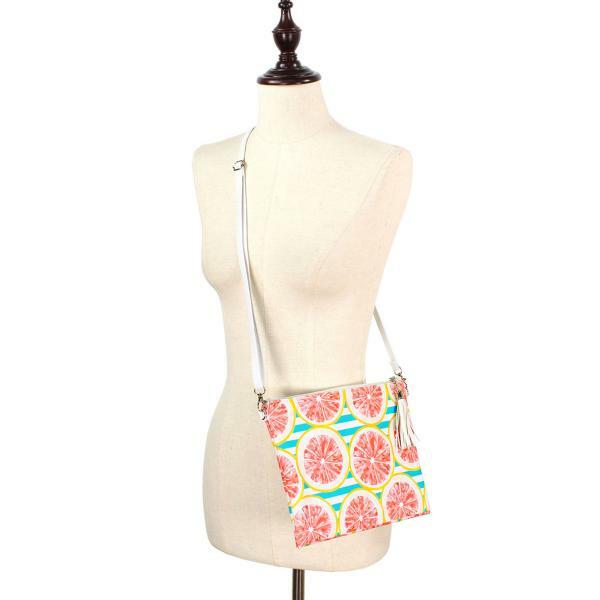 Crossbody bag: 10" x 8"
7" Clutch strap (included in both the bag and wristlet): 7"